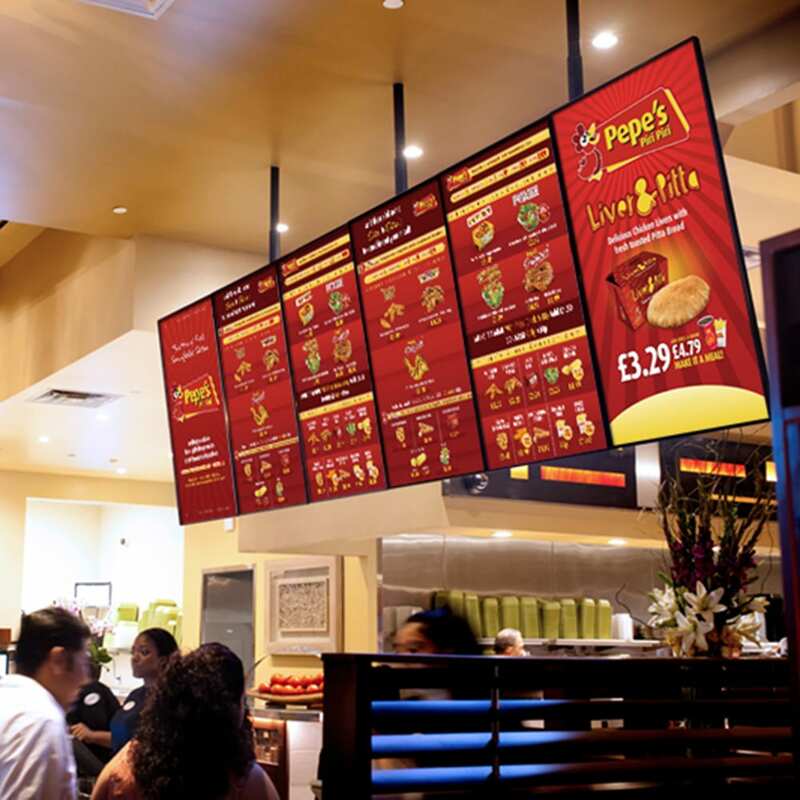 Gone are the days when the typical printed menu boards were used by the restaurants, food halls and cafes etc. Now is the time of digitalisation and every business is focusing on making people’s lives easier with the use of digital products. And when it comes to a digital menu board, it works as a two-sided thing that benefits both the businesses and the customers. It provides massive reach and attention capturing for businesses and helps customers in deciding with lively graphics that display different meal deals. To equip businesses with such incredible technology, Store Fittings Direct is providing with different digital signage solutions and one of them is digital menu board or digital advertising poster. Store Fittings Direct is a market leading digital signage solutions provider that has an extensive range of award-winning digital signage products including the digital menu board, digital advertising poster, touch screen kiosk and the list goes on. The digital menu board saves a lot of time, effort and especially money. If you have a change in your menu and want to depict it on your menu board, you can do it easily by just programming the digital menu board to show what you want it to show. A digital menu board increases the upsell rate as the board will be showing complimentary items that people may want to buy with their food. This cannot be done on printed menu board as it does not have a lot of space to fit every food suggestion, but with digital menu board, you will have plenty of space as you can just rotate the content that is shown on it. Also, a digital menu board will reduce the perceived wait time for a customer as they can pass their time by watching trivia, fun facts or promotional content on a digital menu board. This will reduce the rate of customers abandoning the restaurant due to long lines. With a plethora of benefits, the digital menu board is something every food business should consider. And what better suppliers of these boards than Store Fittings Direct that is a pioneer name in the industry. And the best thing is that not only their digital menu boards are long lasting but are affordable as well. So virtually any business can get the benefit of the digital menu boards, and this is the aim of Store Fittings Direct; to equip businesses with digital signage solutions. For more information about Store Fittings Direct and how to procure the company’s products, please visit the company’s website via https://storefittingsdirect.co.uk/product/digital-advertising-menu-boards/ or call 0116 318 4182.